You may not know me personally, but I feel like I have known you all my life. Miss Tiffany Haddish, you are a great inspiration to many out here and to be more particular, to me. I love a good laugh and when I first watched `Girls Trip` trailer, there was just something about you that was different. Your great sense of humour that is beyond hilarious and your beautiful, strong heart could be seen reflecting in your role. I love the movie so much, that I have already lost count of how many times I have watched it. Back then I had not heard about your story, but when I watched and listened to it on YouTube I was amazed. It is always so encouraging and inspiring to hear and learn real life stories from real people. Your story is not just inspiring but also very encouraging. It is a story of strength, perseverance, faith, hope and believing in yourself and your dreams. I listened to your story and I was immediately inspired. “If she can do it, I can do it” I said to myself. I thought I had gone through challenges and difficulties in life, but when I listened to your story I realised I had was making excuses rather than going after my dreams. I decided to pay a tribute to you because I admire you and because you are such an inspiration to me. Watching or listening to you whether on an interview, movie, or stand-up comedy shows is always so hilarious but also very encouraging. I am a young lady from Africa, Kenya to be particular and your story and how you carry yourself has not only been inspiring but it has challenged me to stop making excuses and start going after my dreams. Watching your made me realise the importance of being strong, not allowing your situations to hinder you from going after what you believe in and speaking your mind. You have taught me not to be afraid of my past because that`s what moulds me for the future, from you I have learnt to embrace my scars and be proud of the fact that am still standing even after all I have been through. You also teach people out here the importance of family, love and forgiveness. Your love for your siblings and your mother is simply amazing. Miss Haddish, you are such a beautiful soul inside out. Your openness, courage, confidence is something to be admired and envied by many. Your sense of humour is so contagious that nowadays I find myself cracking jokes all the time. 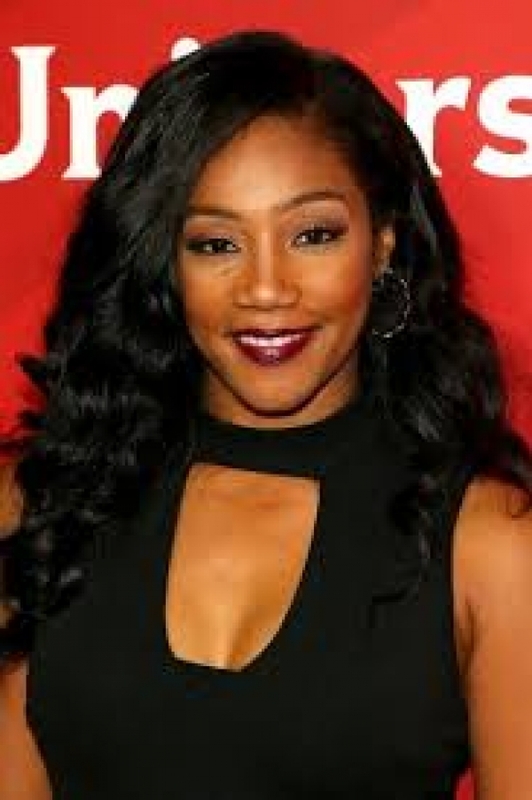 I have encouraged all my friends to watch `Girls Trip` and when they me why, the answer is very simple “ Tiffany Haddish, she my soul sister”. Thank you so much for being real, honest, open, confident, beautiful both inwards and outwards. Thank you so much for being such an encouragement to me, for inspiring me to be better, to go after my dreams and not to be afraid to embrace my scars. For Miss Tiffany Haddish, at truly inspiration.